It's time for this month's Wendy's Favorite Things roundup. This month's Great Eight features healthy snacks, a great new cookbook, a unique twist on bacon...and my favorite personalized wine glasses! (1) Bolthouse Farms Vanilla Chai Tea. I'm a big fan of Bolthouse Farms refrigerated juice blends and smoothies. 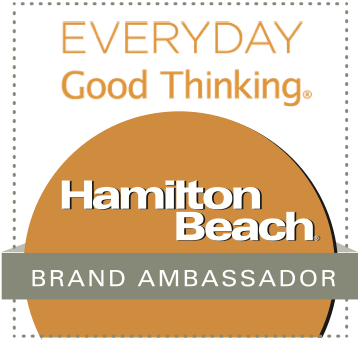 When I tasted their Vanilla Chai Tea Perfectly Protein Beverage, I knew I had found my new favorite portable breakfast of afternoon pick-me-up. This blend of heart-healthy green tea, vanilla, and chai spices contains 7 grams of filling soy protein. This chai tea tastes amazing...and it's good for me too. Score! This dairy-free beverage is also gluten free -- and it contains just 3.5 grams of fat and 175 calories per 8-ounce serving. To find Bolthouse Farms Vanilla Chai Latte near you, check out their handy Store Locator. (2) Horizon Organic Cheddar Shapes. 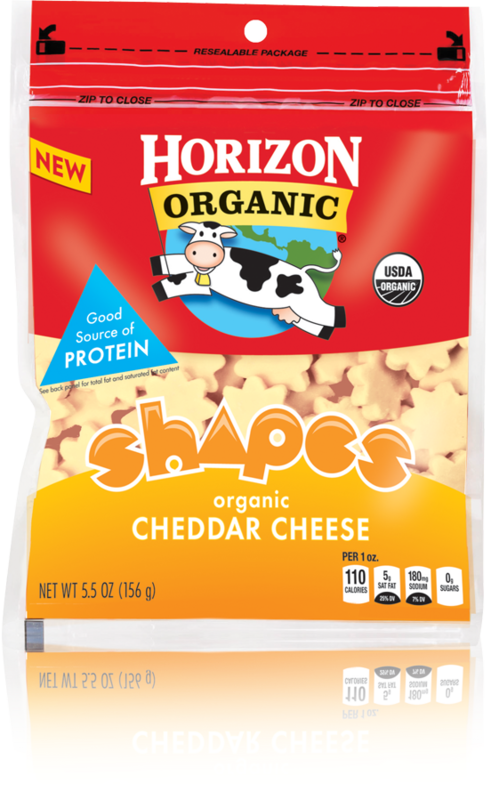 Horizon Organic's new Cheddar Shapes are a fun way to get your daily requirement of protein and calcium! Kids of all ages will have a blast eating these star-shaped bites of cheese. Eat them alone, stack them on crackers, or use them to add a fun garnish to your favorite recipes. 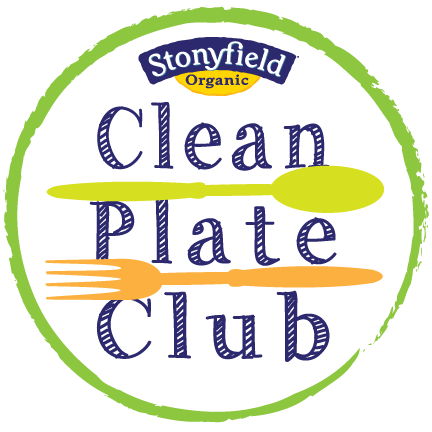 Each 1/4-cup serving of Cheddar Shapes provides 20% of your daily calcium needs...along with 7 grams of filling protein. I love to eat Cheddar Shapes on top of Triscuits for a filling after-work snack. Like all Horizon products, these cheese shapes are USDA certified organic. Horizon also makes triangle-shaped Colby Shapes for those who prefer a sharper bite to their cheese. To find these products near you, check out Horizon's online Store Locator. (3) Haulin' Oats Oatmeal Jars. I was a teenager in the 80's, so the creative name of Haulin' Oats organic gourmet oatmeal was the first thing that caught my attention! Then, I tasted their oatmeal and fell in love...this stuff is the real deal! Every flavor starts with organic rolled oats topped with brown sugar, flaxseed, and spices -- along with a rich blend of nutty almond butter and coconut oil. Then, they add lots of yummy organic, sustainable ingredients. Haulin' Oats comes in cute glass jars, making it perfectly portable. When you're ready to serve, cover the ingredients with boiling water and let cook for 5 minutes before eating. Each flavor is named after a popular song. My personal favorite is My Cherry Amor, which features pecans, dried cherries, and white and dark chocolate chips. It's a healthy treat that gets my day off to a great start! 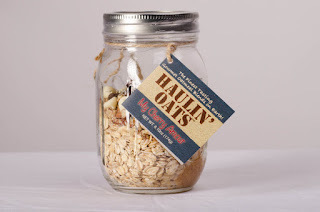 Haulin' Oats products can be purchased via their online store. 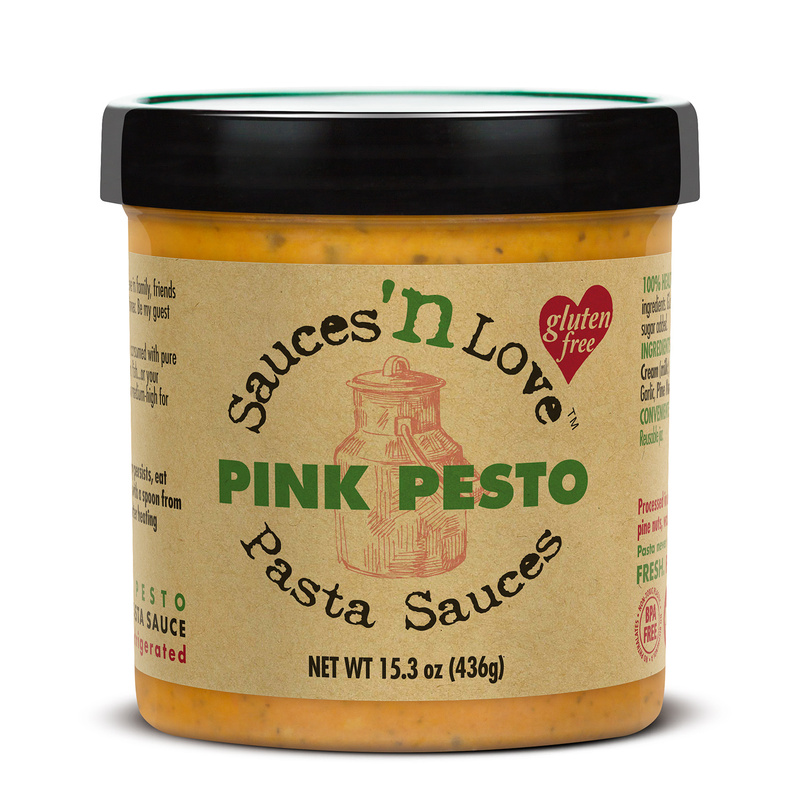 (4) Sauces 'n Love Pink Pesto Pasta Sauce. 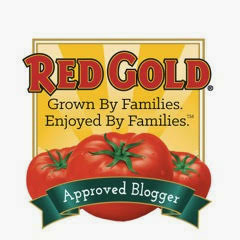 I'm always looking for products that taste great and help me get dinner on the table quickly during my busy work week. 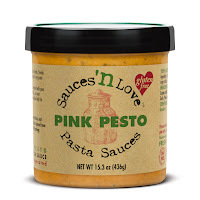 One of my favorite new finds is Sauces 'n Love Pink Pesto refrigerated pasta sauce. In the time it takes to boil up some pasta and sear some chicken breast, I can have a restaurant-quality dinner on the table in about 30 minutes. This creamy sauce features Vodka sauce infused with herbal basil pesto. The addition of homegrown tomatoes and cream provides a nice richness. Like all Sauces 'n More pasta sauces, this Pink Pesto is gluten free. This sauce really is the best of both worlds -- creamy tomato-based sauce flavored with the robust flavor of pesto. My Texas readers can find Sauces 'n Love Pasta Sauces at their local Central Market. To find their sauces nationwide, check out their Store Locator. 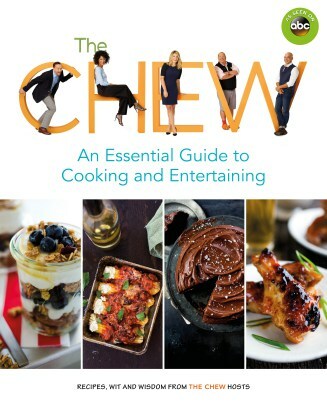 (5) The Chew: An Essential Guide to Cooking and Entertaining. I recently received a copy of this amazing cookbook, and I was very impressed by the wide variety of family-friendly recipes that it contains! The hosts of ABC’s hit show The Chew want to encourage everyone to enjoy the fun and flavor of cooking, without the hassle and expense. Just as they do on the popular daytime cooking show, Mario Batali, Carla Hall, Clinton Kelly, Daphne Oz, and Michael Symon provide readers fun, mouthwatering recipes and useful entertaining tips to make cooking for family and friends less stressful. 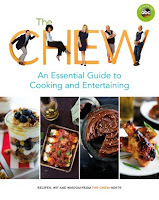 In this fourth companion book, themes featured on The Chew can be found in this approachable cookbook -- along with guilty pleasures and recipes handed down from the hosts’ families to yours. 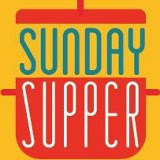 Recipes that caught my eye include Cheesy Pull-Apart Pesto Bread and Dad's Death by Chocolate dessert. You can find this new cookbook at most major book retailers nationwide. 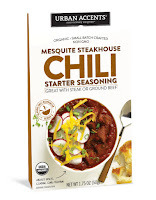 (6) Urban Accents Mesquite Steakhouse Chili Starter Seasoning Mix. I first tried Urban Accents seasoning blends last year, and now I'm a big fan. Their products take the guesswork out of seasoning -- which is why the company refers to itself as "Your Culinary Wingman." Urban Accents recently unveiled a new line of Chili Starter Seasonings. 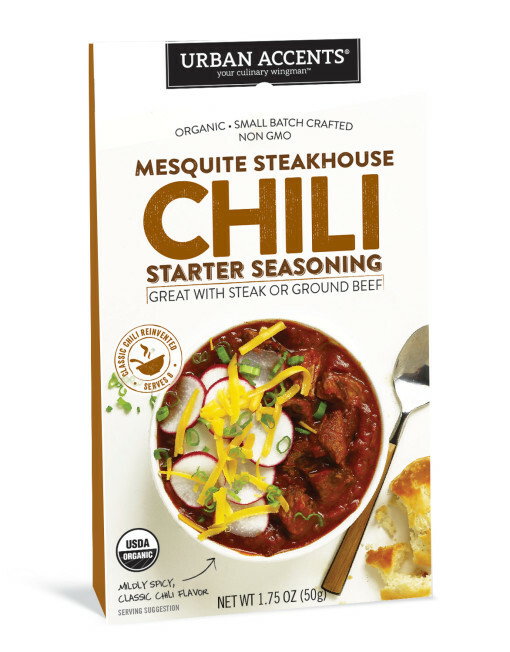 The Mesquite Steakhouse variety provides all the spices you need to create a perfect bowl of beefy chili. Simply add cubed or ground beef, bacon, onions, tomato paste, diced tomatoes, and water...and you'll have a spicy pot of chili that serves 6-8 people in less than an hour! This beefy chili is smoky, but not overly spicy. I like to top each bowl with shredded cheese, green onions, and sour cream. Urban Accents also offers Jalapeno Chili Verde and Spicy Pumpkin Spice Chili Starter Seasoning varieties. Urban Accent products can be purchased via their online store...and at retailers nationwide. (7) SCHMACON Smoked Uncured Beef. Do you love bacon? Then, you're going to go crazy for SCHMACON, which is smoked uncured whole muscle beef "bacon." SCHMACON features a smoky-sweet, beefy flavor. When it's cooked, the end result is crispy and meaty like traditional bacon. The company realized that not everyone can eat -- or wants to eat -- pork bacon...and turkey bacon doesn't really cook up crisp like pork bacon. 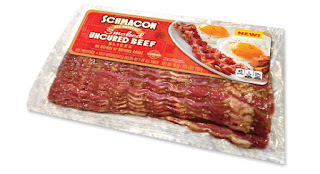 SCHMACON is big on flavor -- but it's lower in sodium, fat, and calories than traditional bacon. My family wrapped SCHMACON around cheese-stuffed jumbo shrimp before grilling them, and the flavor was great. We also noticed that the SCHMACON was much less greasy than traditional bacon. My beef-loving Texas readers can purchase SCHMACON at Central Market locations. It can also be found at other grocery chains nationwide. (8) Personal Creations Classic Monogram Wine Glasses. Personal Creations offers a wide range of personalized items. I recently received a set of their Classic Monogram Wine Glasses, and I just love them! A single letter monogram is etched onto the glass, and it lends an elegant touch to your glass of wine. Each set comes with four beautiful wine glasses. This flexibility means you have enough glasses for a dinner party...or a relaxing at-home date night for two. These wine glasses are made of high-quality glass, and they're dishwasher safe. Even better, they hold up to 18 ounces of your favorite wine or sangria! I chose the Circle monogram style, but Block and Swirl styles are also available. 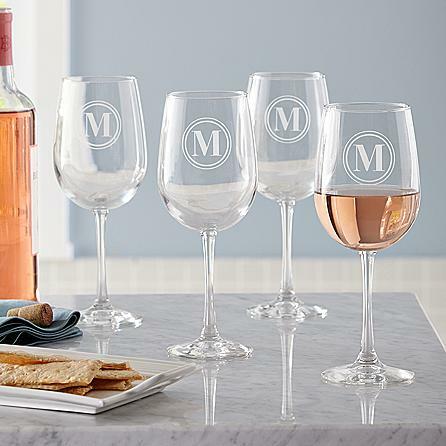 These monogrammed wine glasses can be ordered online from Personal Creations. Disclosure: The makers of the products featured in this article provided me with sample products to facilitate inclusion. All opinions are solely mine, and I only recommend products to my readers that I have personally tried and enjoyed. 3 Researches SHOW How Coconut Oil Kills Belly Fat. These 3 researches from big medical magazines are sure to turn the traditional nutrition world around!